Mathematical Optimization is an current problem in many different areas of science and technology; due to this, in the last few years, the interest on the development of methods for solving such kind of problems has increased an unprecedented way. As a result of the intensification in research aimed to the development of more powerful and flexible optimization tools, many different and unique approaches have been proposed and successfully applied to solve a wide array of real-world problems, but none has become as popular as the family of optimization methods known as nature-inspired metaheuristics. This compelling family of problem-solving approaches have become well-known among researchers around the world not only for to their many interesting characteristics, but also due to their ability to handle complex optimization problems, were other traditional techniques are known to fail on delivering competent solutions. Nature-inspired algorithms have become a world-wide phenomenon. 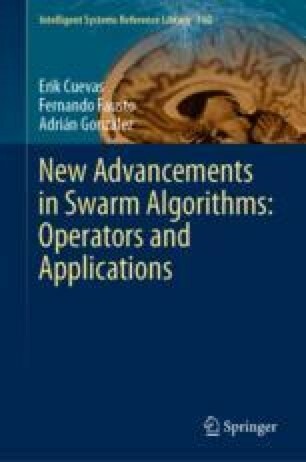 Only in the last decade, literature related to this compelling family of techniques and their applications have experienced and astonishing increase in numbers, with hundreds of papers being published every single year. In this chapter, we present a broad review about nature-inspired optimization algorithms, highlighting some of the most popular methods currently reported on the literature as and their impact on the current research.